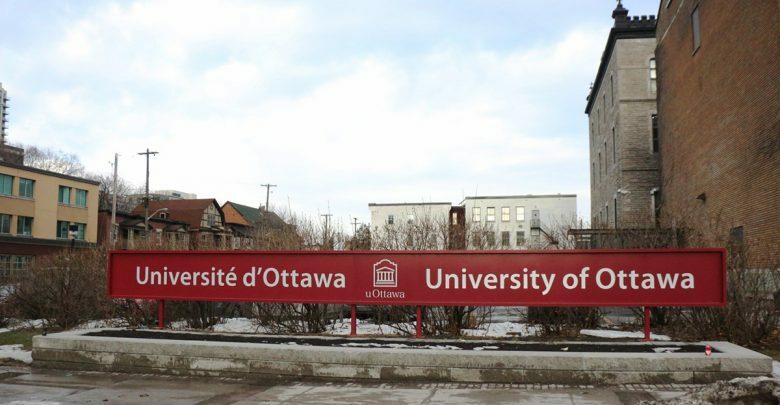 OTTAWA — A police report has been filed outlining allegations of fraud, under categories of scam and identity theft, following the submission of a report from outgoing Student Federation of the University of Ottawa (SFUO) president Hadi Wess. 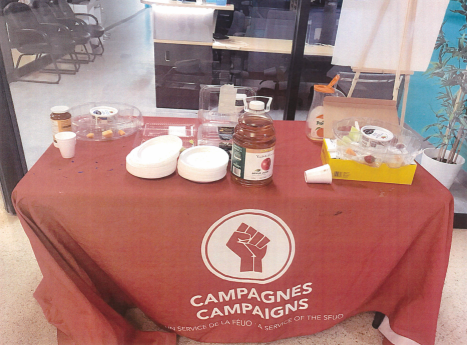 The report by Wess raises the possibility of fraudulent action by SFUO president Rizki Rachiq, and executive director Vanessa Dorimain, with mention of vice-president of operations Axel Gaga. 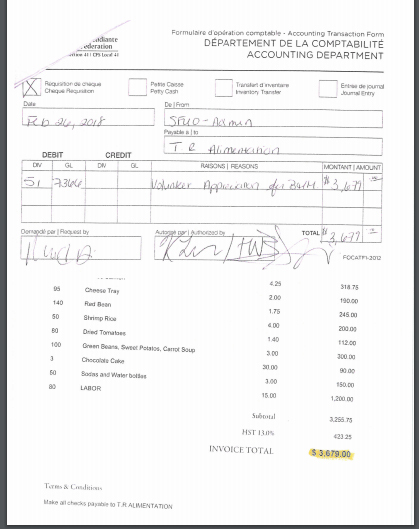 The complaint is in the hands of the Ottawa Police Service. No charges have been laid. 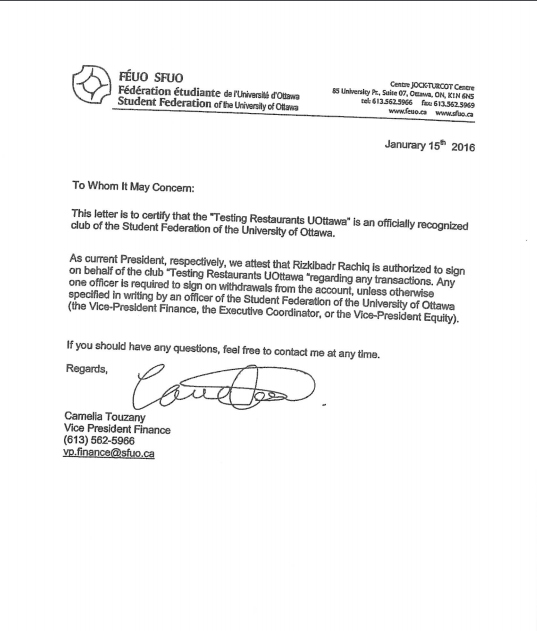 The report also suggests that the club was never approved by the vice-president equity, as is mandatory for all SFUO clubs. 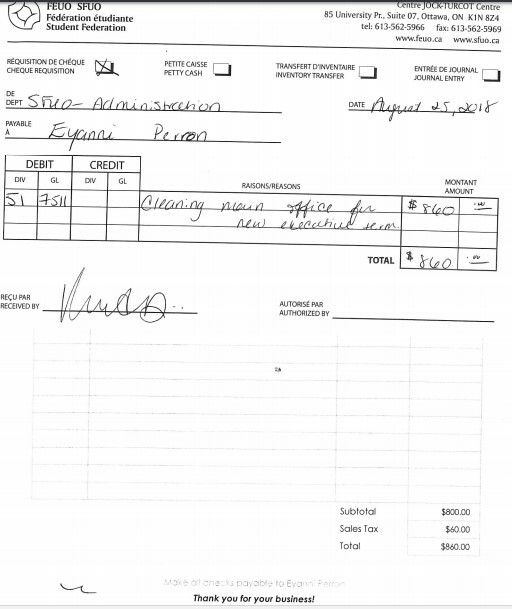 The only document referred to in Wess’ report relating to the club is a 2016 letter, certifying that the club is “officially recognized” by the SFUO, and giving Rachiq signing authority over club transactions. 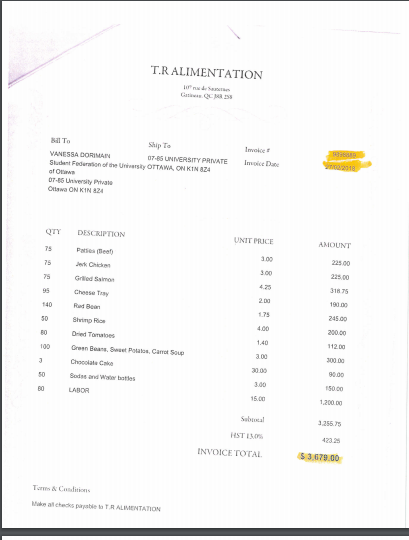 However this was marked as notable in Wess’ report, given that the wording in the body of the letter refers to the writer with the phrase “as current president” while signing off as then-vice-president of finance Camelia Touzany. 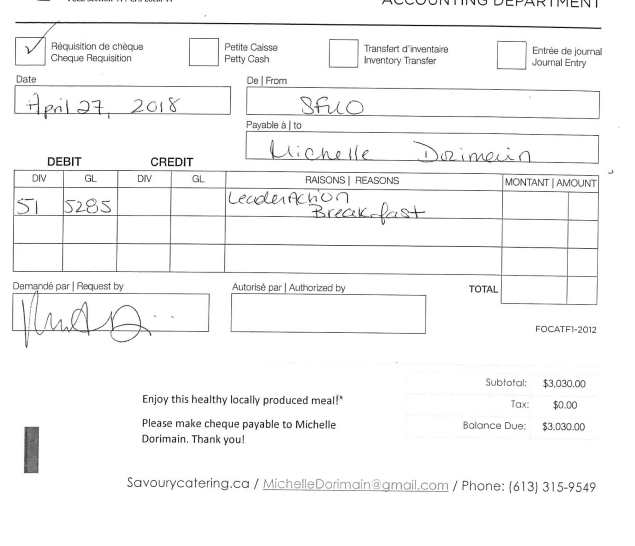 Five cheques were linked to the account, with the first one deposited on March 6, 2018, amounting to $8,403.53. 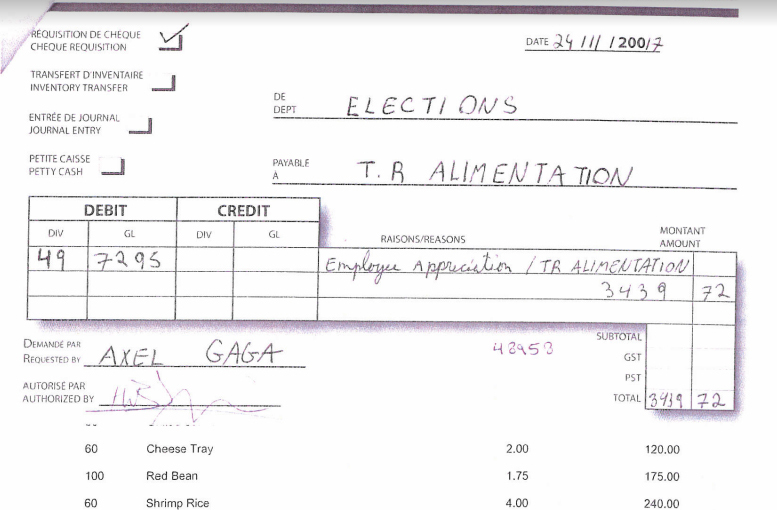 The cheques were made out to an entity called T.R. 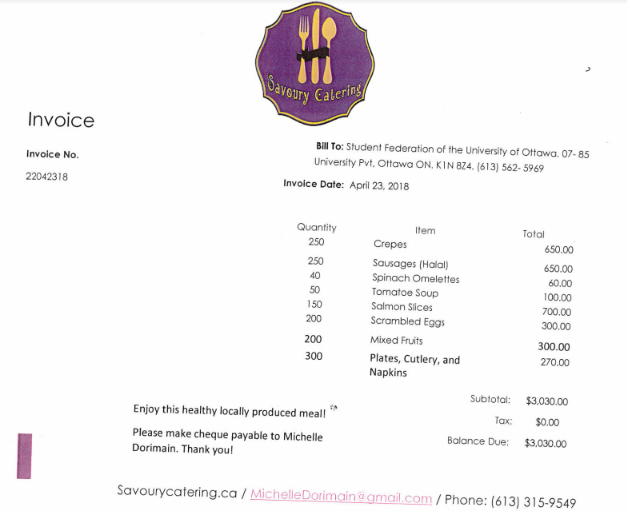 Alimentation, which the SFUO had a file on, according to Labossiere, and totalled upwards of $20,000.